No-one makes a splash quite like a penguin. 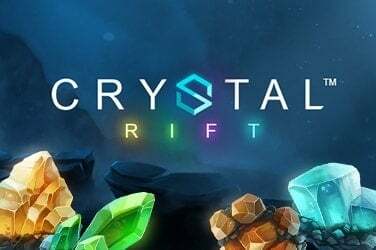 Well, apart from funky new Vienna-based iGaming developing studio Rabcat, who you may remember from another innovative release, Castle Builder. 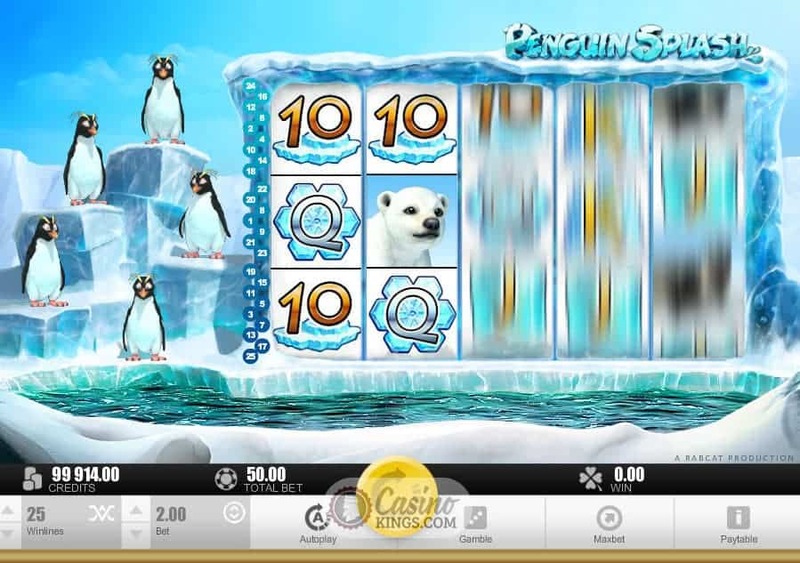 Like that title, Penguin Splash is out to impress with it’s funky gameplay as much as its bonus features. 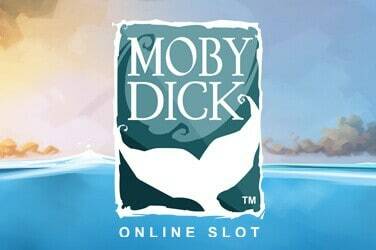 Either way, it’s a slip-sliding slot that will have you slapping your fins together. Who doesn’t like penguins? Especially crested penguins like these silly sausages with great pointy eyebrows. Right from the off we can see the type of light-hearted game we’re into here, although if you expected existential gun-slinging from a game entitled Penguin Splash then perhaps you’d better readjust your sights. Our crested heroes waddle and jump their way on to icy pedestals from where they can watch our game – and get involved when they need to. The penguins aren’t alone on the ice floe. They are joined on the five reels by seals, walruses, polar bear cubs and killer whales, along with more standard 10s through Kings. 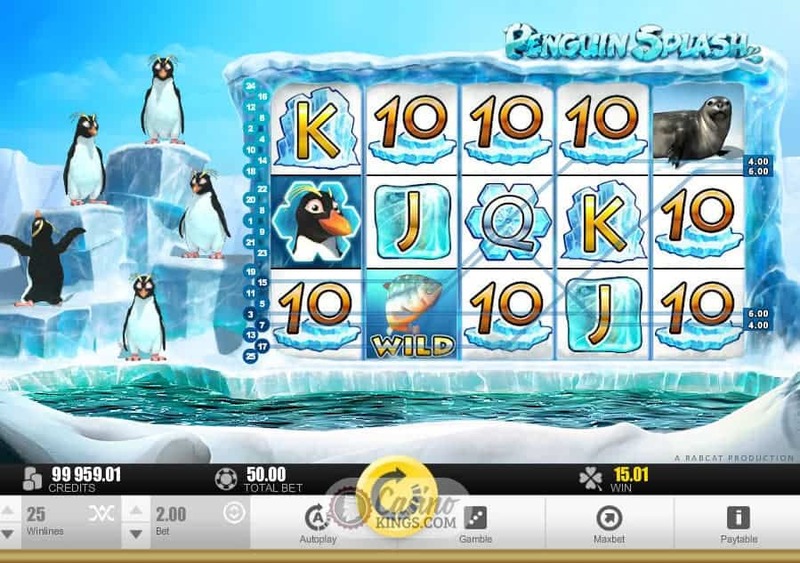 Our penguin friends are Scatters, with Wild fish that do the substitution honours to zhuzh up our winnings across the 25 paylines. They are accompanied by piano ditties and comedy slippery sounds that could be straight out of a Laurel & Hardy classic. Only with more penguins. 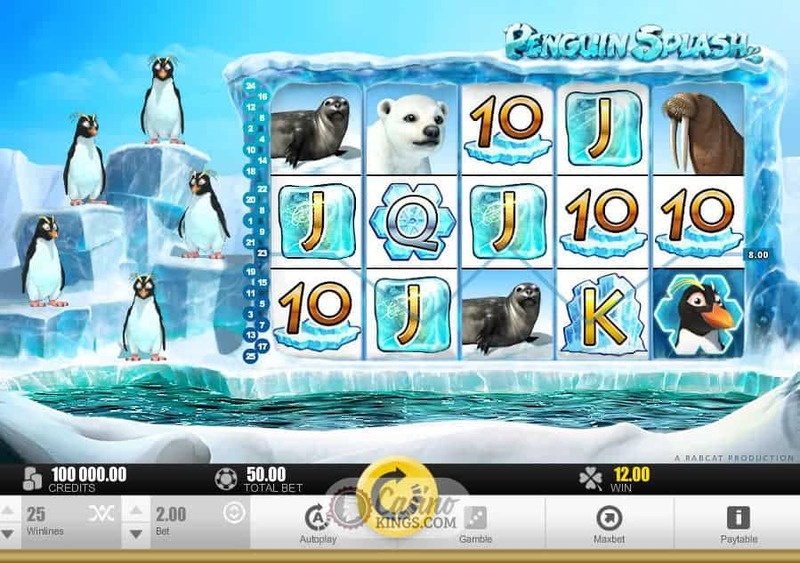 Land three or more penguins during any spin to trigger the free spins feature, at which point various members of our penguin troupe dive off the ice floe, swim through the icy lagoon and jump to high five the winning penguins on the reels. 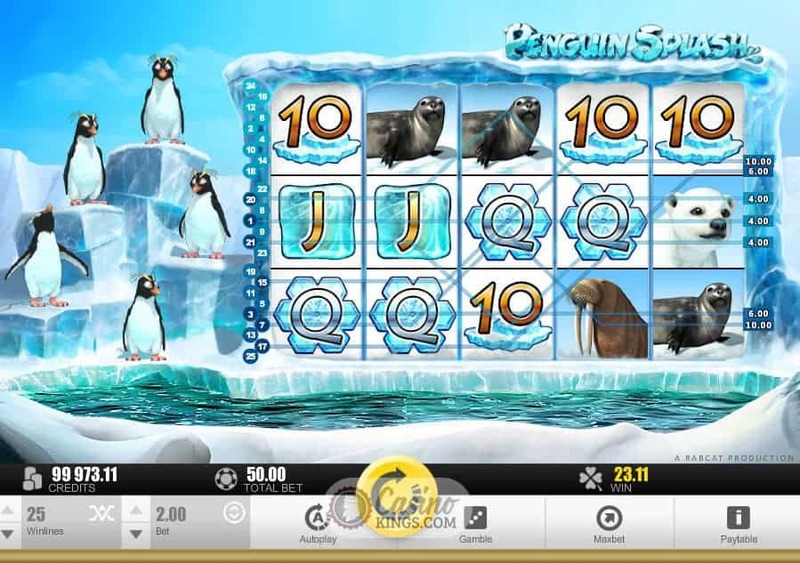 They reveal how many free spins we win during the feature, and if two or more penguins remain on the floe at the end of the free spins round all our winnings will be doubled. As if this weren’t enough, they accompany each spin with a cute and cuddly penguin jig that will have us waddling at our laptops. This slot is, frankly, hilarious. If you are a fan of the cute, cuddly and amusing then you are in the right place. The slick graphics, comedic soundscape and fun features make this a winner all ends up. No wonder these penguins and their friends are partying on the ice floe…let’s break out the bubbly!